The Cupcake Connection, Vol. 004 – Short & Sweet Birthday Celebrations, Fashion’s Night Out & New Cupcakeries! 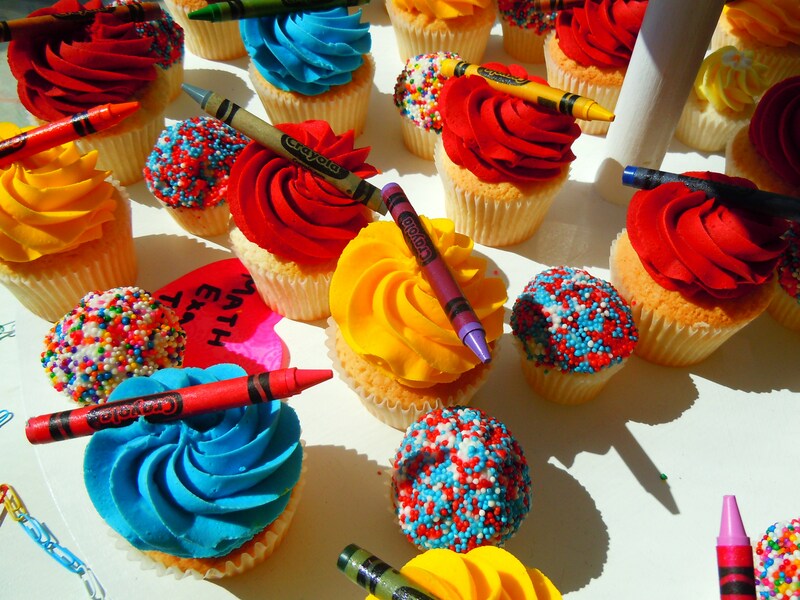 Cupcakes like these would sweeten anybody’s back-to-school week! New month, new school year, new season just around the corner, new Cupcake Connection! I have to tell you, I am SO looking forward to fall and the end of the summer season. Wearing summer dresses has been nice, but I’m ready to move on to fall flavours, clothes, and refreshing walks through colourful crunchy leaves with a warm cup of tea. My mind and appetite have already shifted to pumpkin and squash meals, apple desserts, fall markets, and of course, seasonal delights at all the cupcake bakeries! September is here and that means a whole slew of cupcake news to share to kick off the month and the beginning of the end of the hot and hazy days of summer, so let’s hop to it! 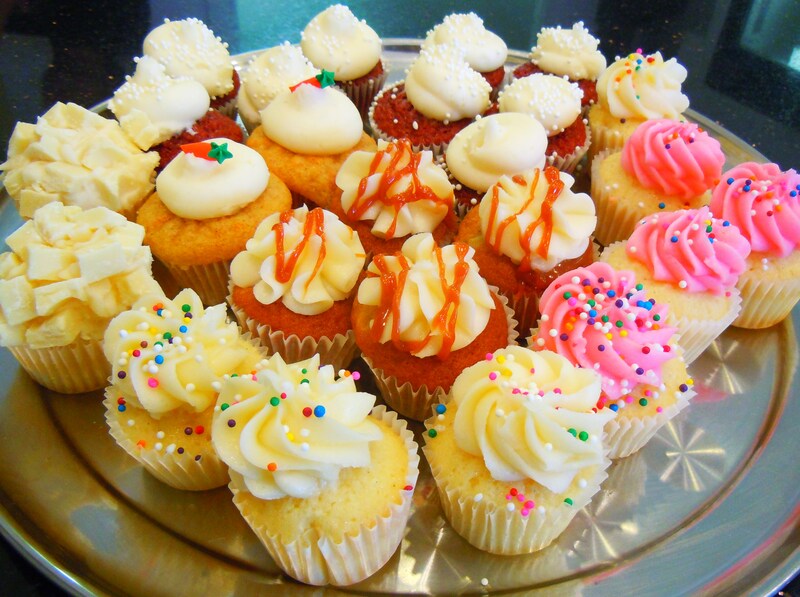 Short & Sweet Cupcakes is all over the cupake news circuit this month! Not only are they official sponsors for Toronto’s very first Fashion’s Night Out this Thursday, September 6th, 2012 from 6pm-11pm (FNO, a global consumer initiative celebrating its 4th anniversary this year, is dedicated to making shopping an even bigger social and socializing event, creating excitement over fashion collections, designers, and the industry through different shopping events in different cities around the world, and aiming to restore consumer confidence in an economy drowning in recession woes), but they are also celebrating several different milestones of their own! This Saturday, September 8th, Short & Sweet will be raising a toast to their 1st birthday at their new location on Avenue Road, their 3rd birthday as a cupcake shop in Toronto, AND the birth of their soon-to-be 2nd store location opening later on this month, located in York Region! Things have never been more exciting and hopeful for the team, so join in on the celebration and pop on by this Saturday for a cupcake party celebration! You can view the photos from last year’s grand opening party HERE! And funny enough, since we’re talking about Short & Sweet, you’ll never guess the type of business that recently moved into their old location at 399 Old Orchard Grove! Or maybe you will since I’ve made it kind of obvious. That’s right, a brand spankin’ new cupcake bakery has set up shop in Short & Sweet’s old residence! Small world, right? Introducing, Pink Lemon Bake Shop! As a sister cupcake and cake shop to York Region’s Crumbs & Co., Pink Lemon Bake Shop opened their doors in Toronto for the first time this past June. I haven’t been to the shop yet (I will get there eventually! 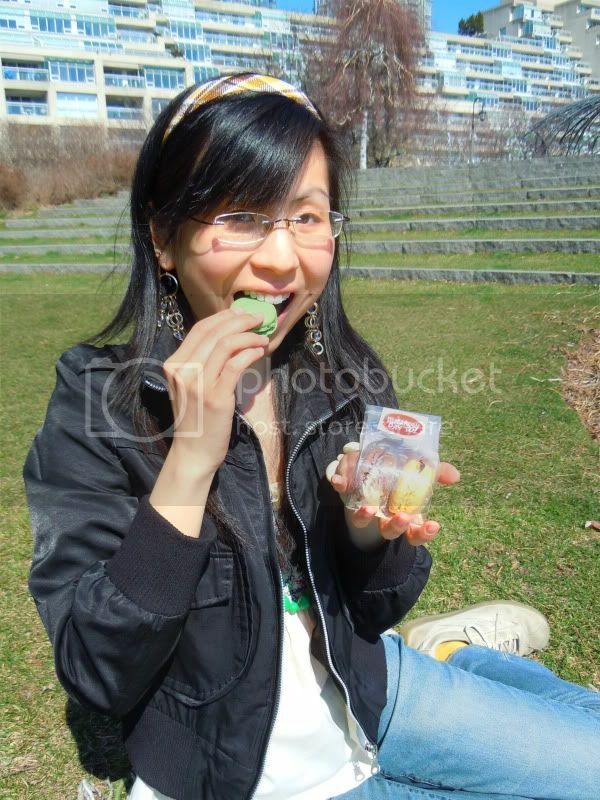 ), but flavours like blueberry champagne, fudge sundae, brownie fudge, and pink lemon will draw me there soon enough! And if that’s not enough to get your heart fluttering, another cupcake bakery and patisserie has waltzed into Toronto this past year (also located in North York), at 3543 Bathurst St., south of Wilson Ave. and the 401. Walk into Bo-Bon, an East Coast American import from New York and New Jersey, specializing in cupcakes, gourmet marshmallows, meringues, chocolates, and Parisian macarons – all Kosher-certified! If you’re a fellow “Cupcake Crusader”, definitely check out both shops and check them off your list if you’re looking for more cupcake goodness in Toronto! It’s only a matter of time before I hit both, so sit tight because posts on both of them will come! September also means the return of TIFF, the Toronto International Film Festival, and in true glamourous, red-carpet ready style, Le Dolci is holding a special TIFF themed cupcake decorating class on Sunday, September 9th from 4pm-6pm! I had just started my adventures at old icing sugar towers around the time this class had happened last year and I still remember seeing adorable cupcakes decorated with fondant to resemble movie reels, popcorn buckets, directors’ clapboards, and other cute movie and TIFF related things! There’s space available, so if you love movies and cupcakes, this class is perfect for you! Finally, a new month and a new season just around the corner means new products at Dufflet! For a limited time, enjoy two new giant cupcakes at all Dufflet bakeries and cafes: a filled Coconut Dulce de Leche and a filled Luscious Lemon! Both sound amazing and both are two of my favourite flavours ever! Not to mention they have fillings! Dufflet cupcakes are $2.85 each. Dufflet’s fall beginnings and back-to-school newsletter can be found HERE where a listing of new products and promotions await you! That’s all for this post, but I’m already so super excited about scoping out fall flavours and seasonal treats for the next Cupcake Connection!